Virtually anywhere you go in the Mayan Riviera, you’re going to find beautifully soft, white sand and crystal-clear turquoise water; whether it’s the hotel zone in Cancun, just steps from 5th Ave in Playa del Carmen or on the islands. What makes up your tropical paradise? When you dream of a beautiful beach, what do you envision? Some of us always want to be around people, making new friends while enjoying some sort of activity or game, as well as be within eye-shot of the nearest tiki bar at all times! And then there are others who would prefer to have the ‘Corona Commercial’ setting. Just pack your cooler and be the only one on the beach with nothing but the sound of the wind and the waves, and enjoy a good book between cooling off in the sea and the occasional nap. 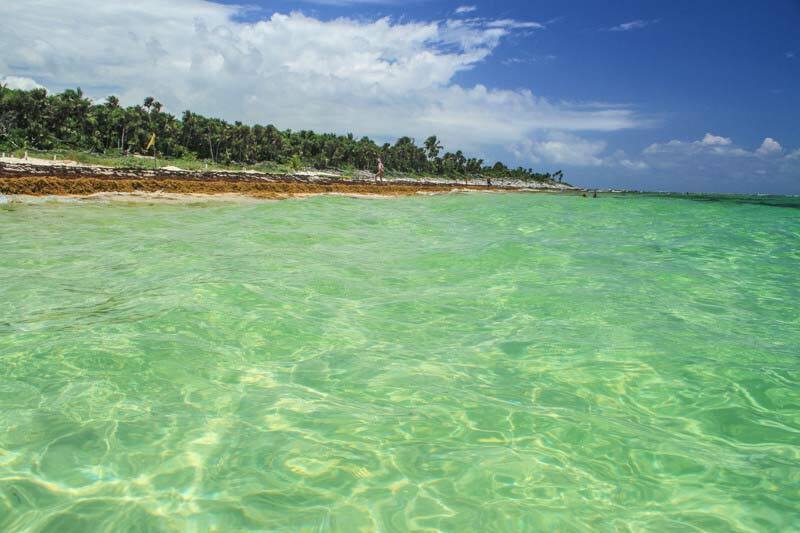 If you lean towards the latter, there are some great beaches along the coast of the Mayan Riviera that may interest you. In some cases, you can get a bit of both worlds–privacy as well as a few amenities. These beaches are not challenging to find but are definitely hidden gems that many of the tourists who visit this part of Mexico don’t know about. If you’re looking for a pristine, remote beach to enjoy for the day, Xcacel is a must! This beach has wide stretches of deep, powdery soft sand and a freshwater cenote tucked into the jungle nearby. This beach is easy to find by driving, and all the locals know where it is. So whether you take a taxi, combi or bus, you’ll get there no problem. It’s located off Highway 307 about 40 minutes south of Playa del Carmen. Just after the well-marked overpass exit to the town of Chemuyil, you’ll do a U-turn and take the dirt road through the jungle leading to the coast. At the entrance, there used to be a sign proclaiming the state-protected park of Xcacel, but all that’s left now is the metal framework. Xcacel is a sea turtle nesting habitat during the months of May to November. You’ll see sections of the beach roped off to protect baby turtles until they’re ready to hatch. Please be observant and respectful of this delicate eco-system! There’s a small fee to enter the beach area and it’s on a donation basis. Your donation goes towards the turtle-protection fund. It’s usually between 10 and 25 pesos per person. Local families love this beach (it’s very busy on Sundays), because there is a lot of space to play around, plus there’s a picnic area under the palm trees and bathrooms with showers. To reach the cenote (great for a refreshing dip to rinse off the salt and sand), follow the seaside path going south. Within a minute you’ll see a hand-painted sign that reads “Cenote,” pointing into the jungle. Follow the wooden pathway a short distance and you’ll come across the small swimming hole. Bring your snorkel gear! The cenote has been given more attention the last few years and now has a nice wooden deck with stairs so that it’s easy to get in and out of. TIP: Xcacel is the southernmost beach of those listed here, and is best for a full day trip [roughly 50km from Playa del Carmen]. There is adequate parking if you have rented a car. Although there is a bathroom on-site, there are no other amenities. Pack your own food and drink. We recommend a beach umbrella and blanket too! Xpu Ha is a fantastic beach and very nice day trip if you are staying in Playa del Carmen or Tulum. It’s located about 25 km [16 miles] south of Playa, right off of Federal Highway 307. There’s a fairly small sign (easy to miss even if you’re looking for it) marking the entrance. This beautiful double bay beach is getting more well-known by locals and has a 40 peso [$2.50 USD] entrance fee. If you are taking public transportation, you will get off on the highway and then have about a 10 min walk down to the beach on the service road. Once you arrive at the beach, you can spread out anywhere you choose. Find a nice secluded spot near the water or back under the shade of a coconut palm tree. You can choose to bring your cooler and snacks and be totally self-sufficient or kick back and enjoy some of the on-site amenities. Xpu Ha has its own little beach bar and offers lounge chairs and umbrellas for a fee if you prefer to be pampered a bit. They rent snorkel gear and kayaks as well, if you wish. The water is calm here and there is some pretty decent snorkeling right off-shore. The kids will love it! The beach isn’t as wide as some of the others in this list, but it is incredibly relaxing. The bay is popular with kite-boarders in the late afternoon when the wind picks up a little. TIP: As this beach is growing more popular among the locals, we recommend you visit in the morning because the beach becomes more populated in the late afternoon hours. Sundays are definitely the busiest and most crowded. Looking for a little solitude and tropical tranquility? 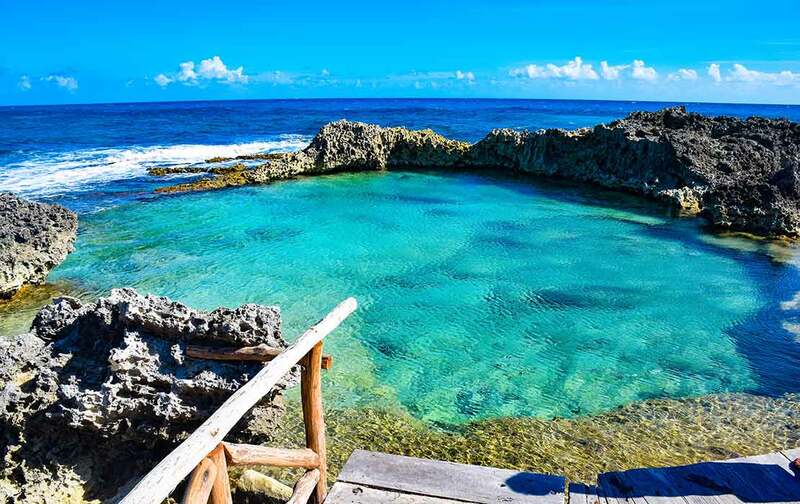 If you’re staying on the island of Cozumel, this is a special location on the southwestern coast that you’ll definitely want to inquire about. El Cielo is a bit unique on this list, as the only way to get here is by boat! But let’s be honest, what’s better–arriving by taxi or a relaxing Caribbean Sea boat ride? 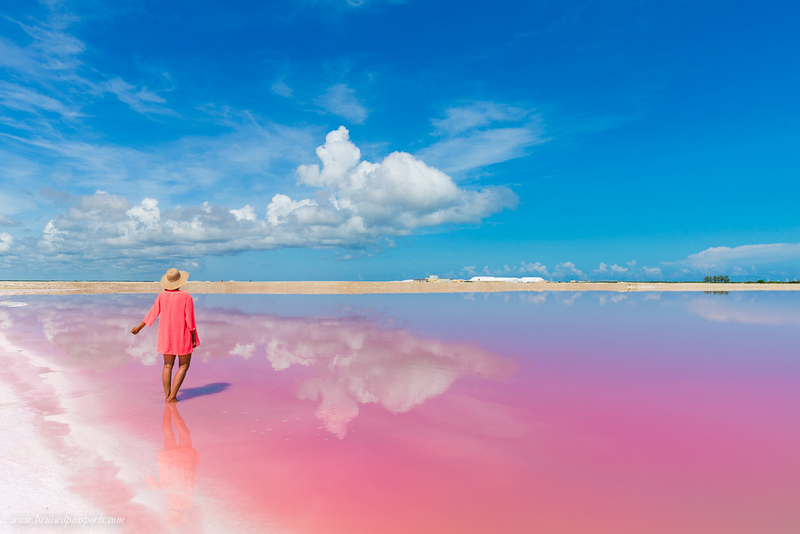 Another unique feature of El Cielo [Spanish for ‘heaven’] is the sandbar. The whole area is serenely calm and protected. You can float in the shallow, crystalline water and watch for reef fish or turtles. Or wade up to the beach through the waist-deep water and sprawl out on the sand and enjoy the views. It is absolutely amazing and stunningly beautiful. Floating with your drink in hand and the boat just feet away from you, this is relaxation at its finest! Depending on what time of day you visit, there will only be a handful of boats present and often you can be well away from them if you choose. The water is always crystal clear with a white sand bottom a few feet below you. 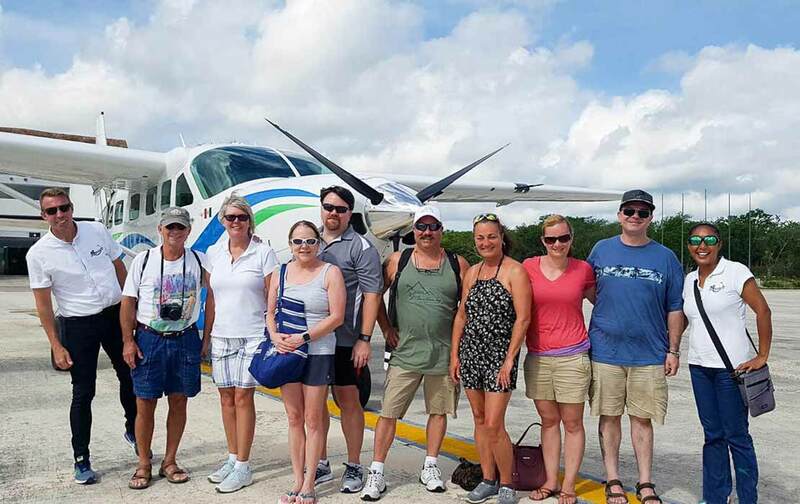 This is a great half-day excursion you may wish to do a couple of times during your stay on the island of Cozumel! If you’re vacationing in Playa del Carmen, you can also make a day trip out of El Cielo. Just take the ferry across and enjoy the island. TIP: You can either rent a boat and crew for the day or take a tour for a few hours. 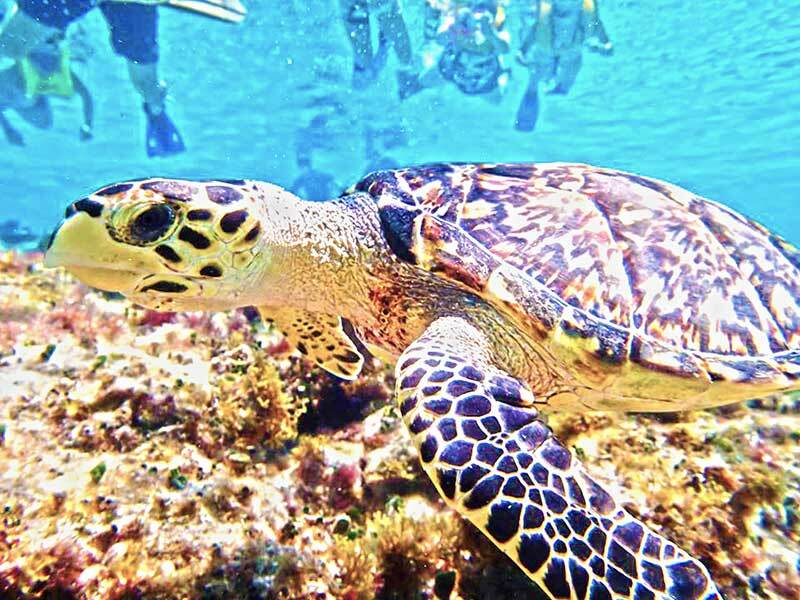 For those interested in snorkeling, Cozumel Cruise Excursions offers daily all-inclusive tours. 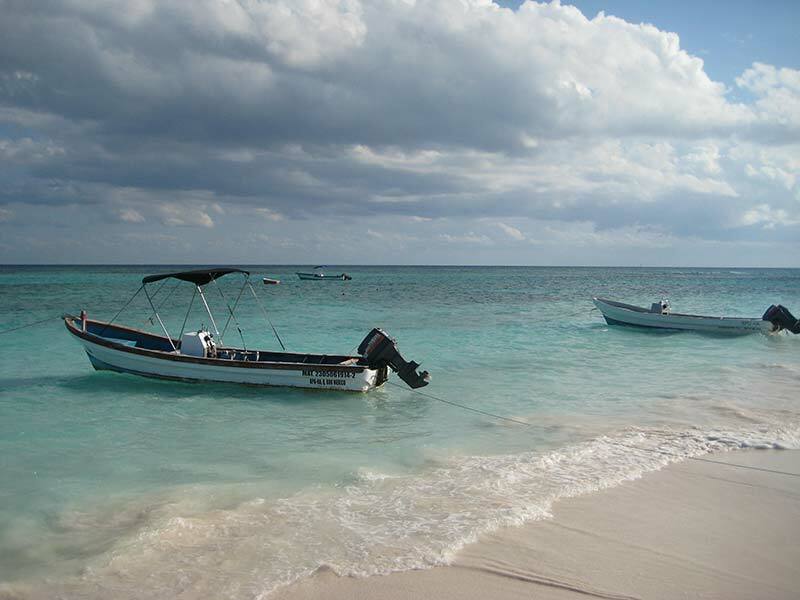 Paamul beach is on a small crescent-shaped bay just south of Playa del Carmen and has a limestone sandy base. This beach is probably the most rugged and natural of any beach listed here, composed of crushed shells, exposed limestone and coral. This beautiful beach is the home to Paamul Hotel and Cabañas which are adorable little cottage-style cabanas that sit nestled back in the tree line. It’s also the unofficial RV capital of the Mayan Riviera! The park hosts a lively little ex-pat community, and has its own fresh monthly market. TIP: The south end of the beach has the least amount of limestone and best water entry. You may want to wear some sort of foot protection as there are quite a few rocks submerged underwater as well. Paamul is a beautiful palm-tree covered stretch of beach and very fun to explore. The beach is a little steep in some sections where the water has washed away chunks of sand; similar to some Tulum beaches. If you’re looking for some excellent snorkeling and beachcombing, this is the beach for you! There’s also great kayaking to be had on calm water days. There is free entry and free parking. On-site you’ll find a restaurant with its own bar and swimming pool. 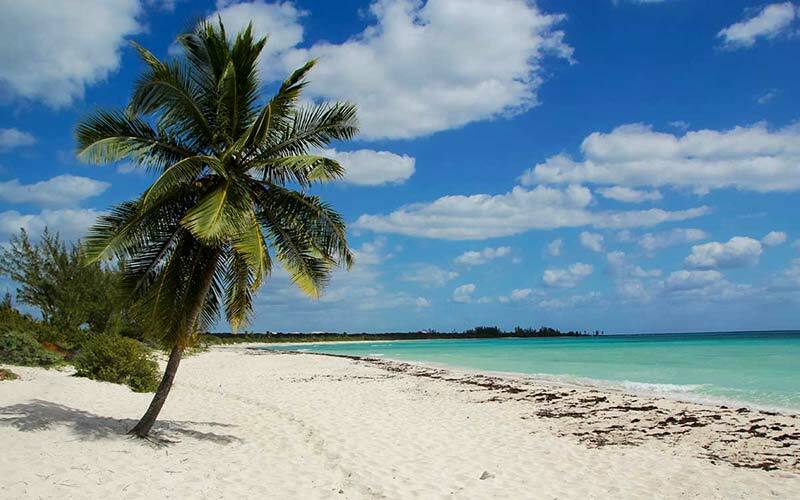 The beach is only 10 min south of Playa del Carmen, and marked with a large, very visible sign off of Highway 307. For a peaceful day where you can unwind with your family or friends on an uncrowded beach, Paamul is perfect. The bonus is that it’s conveniently close to Playa! It makes for a super relaxing day trip or half-day trip. 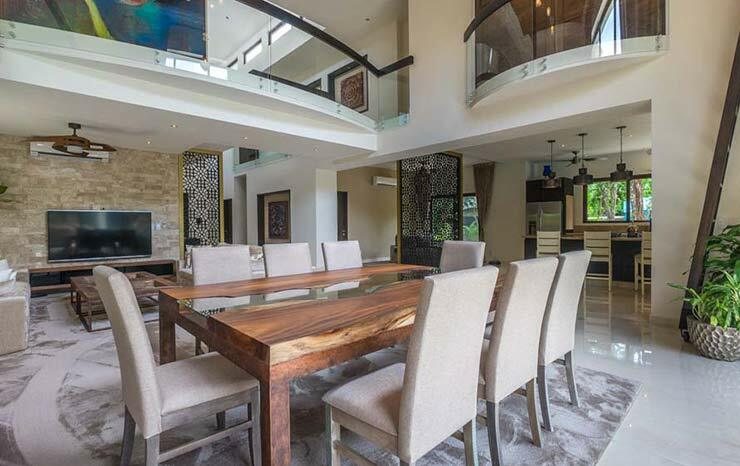 Very close to Playa del Carmen [about 16km south], this is a secluded beachfront eco-park with great amenities. As long as you consume a minimum rate at the beachfront restaurant/bar, you are welcome to stay all day and enjoy what the beach club [Blue Venado] has to offer. There’s a swimming pool, sun beds, lounge chairs and a great menu to partake of! This is an absolutely idyllic setting, with a little sandy niche of a beach nestled between rocky shores and edged by jungle. It’s truly the spot to get away from it all but not miss out on delicious food, drinks and service with a smile! Because of its tranquil beauty, Blue Venado beach club is starting to become a popular destination wedding spot as well. TIP: The entrance to Punta Venado park is well-marked on the beach side of Highway 307. 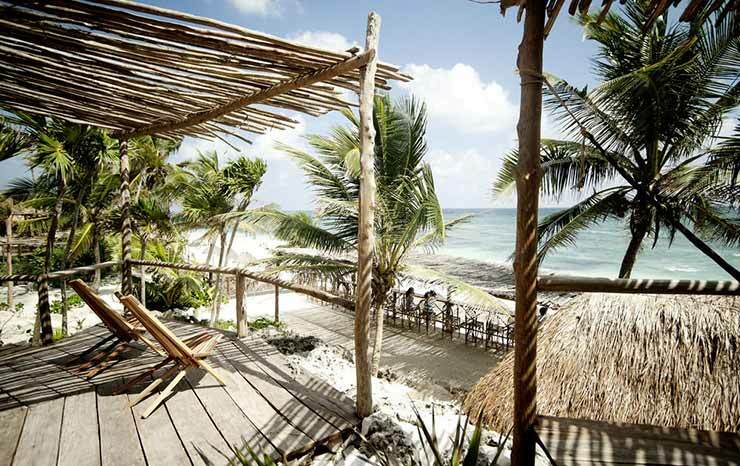 It’s located just south of Xcaret park, about 10 minutes from Playa del Carmen. Be warned though, that the road from the highway to the coast is bumpy and rough, especially after rain! Go slow if you have a rental vehicle. Don’t confuse the Punta Venado maritime port with the Blue Venado beach club. If you’re looking for some activity before you lounge in the sun like a lizard, there are numerous mountain-biking trails along the coast and through the jungle grounds of this eco-park ranch. There’s also horseback riding, ATV tours and cenote snorkeling! Check their website to book a ride in advance, or talk to the front desk at the beach club when you arrive. 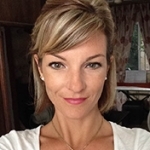 Kelly grew up in northern Alberta and got her fill of cold Canadian winters! She fell in love with Playa del Carmen when her family first vacationed here in 2000 and decided to move here a few years later. It's been a great adventure for her! She spends her time writing, doing volunteer work, snorkeling, diving, and travelling throughout Mexico...and occasionally travelling back to Canada to see family and friends!